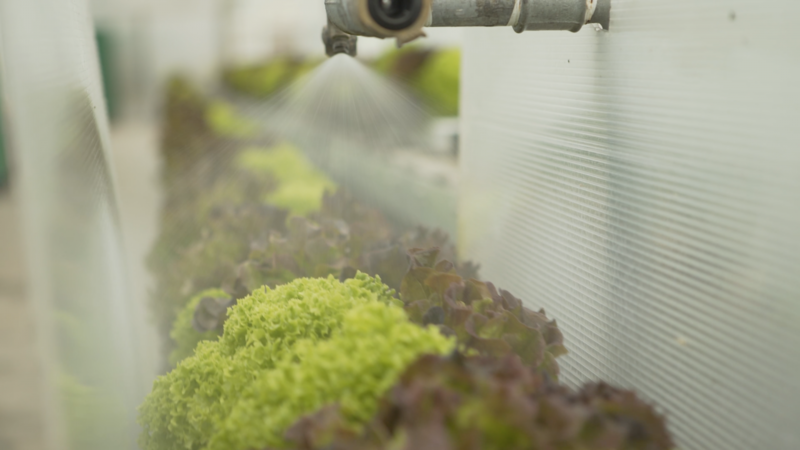 Our mobile growing system is designed, developed and produced by a team of experts. 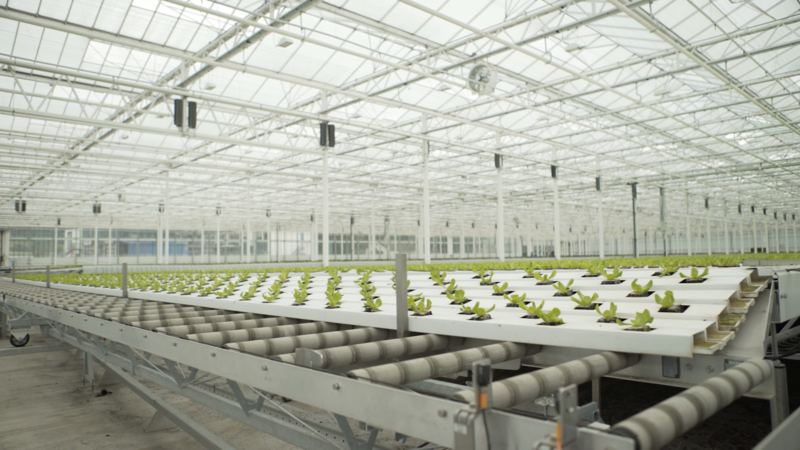 It consists of specially designed gutters, which automatically move from the planting side to the harvesting station. This provides an optimal plant density during each phase of the growing process. The design of the system makes sure the total cultivation area is used as efficiënt as possible. 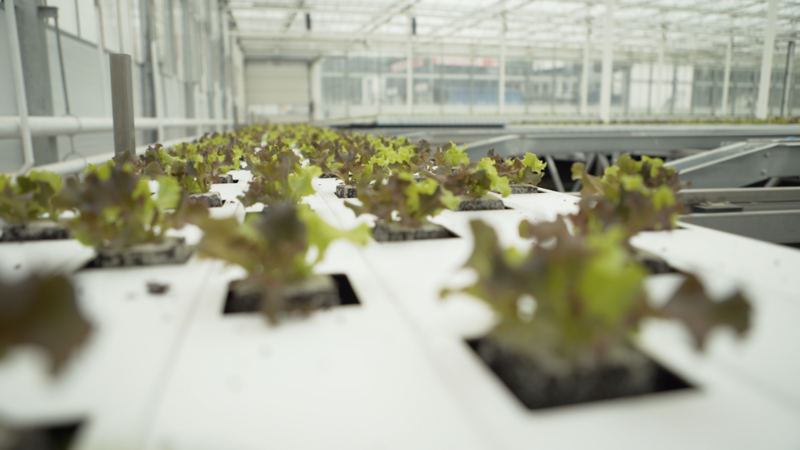 With hydroponic cultivation, the plants are rooted in an inert growing media. The inert growing media enables you to perfectly control the amount of fertilizer the plant gets. It provides the roots with much more oxygen as well. 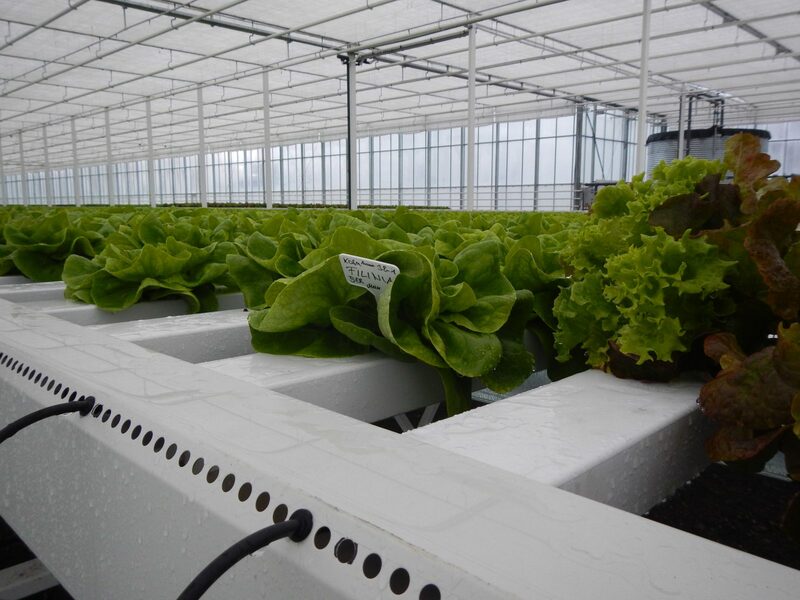 An in-line pump circulates nutrient enriched water through the plant’s root system, while overhead lighting allows the plants to complete the normal photosynthesis cycle to optimize their growth. 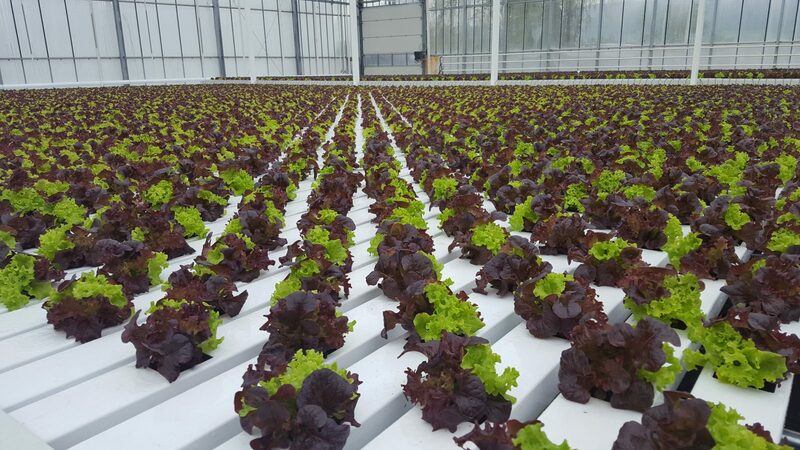 The mobile gutter system consists of specially designed gutters, which automatically move from the planting side to the harvesting station. 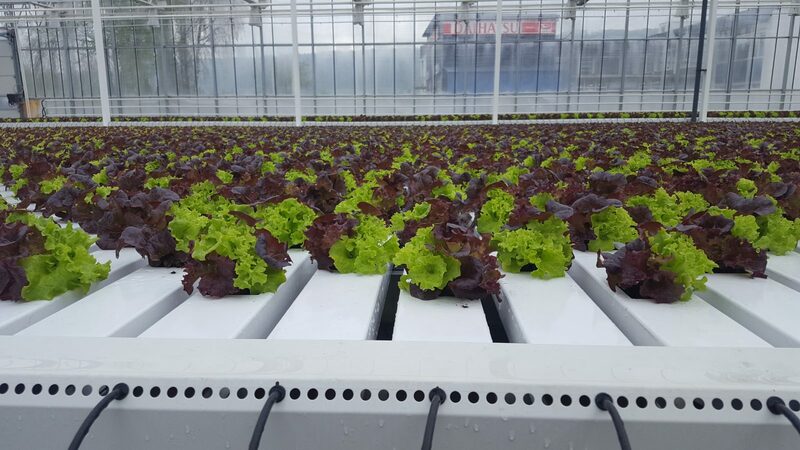 The gutters move along with the growth of the lettuce plants. This provides an optimal plant density during each phase of the growing process. Besides, the total cultivation area is used as efficiënt as possible. 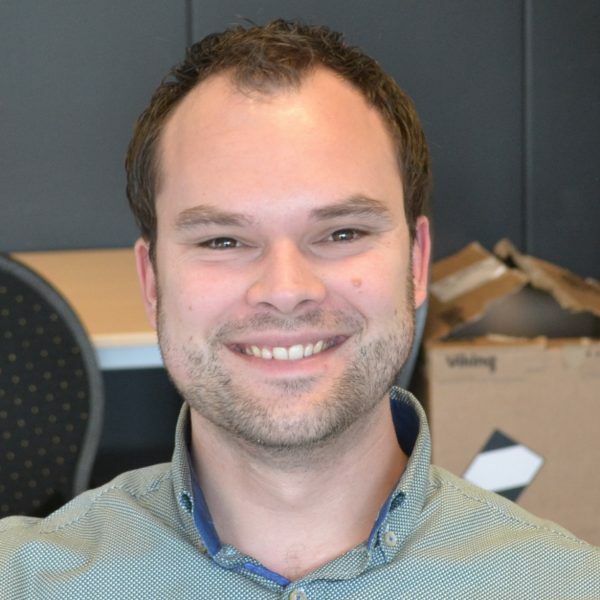 Less labour activities are needed, so a quick return on investment can be achieved. Plant nutrition is provided by the use of nutrient film techniques (NFT). Through an individual water inlet, each gutter receives exactly the right amount of nutrient solution that flows like a thin film through the gutter. After filtration and redosing with nutrients, all the drainwater is re-used. This enables a total water recirculation. The mobile gutter system is a flexible solution with a modular design. The mobile gutter system can be applied in an existing greenhouse or for a new project. In the event of an expansion, the system can easily be adapted to the new situation. This keeps the initial costs to a minimum.